Please note that failure to read this book may result in suspension or dismissal from this store. 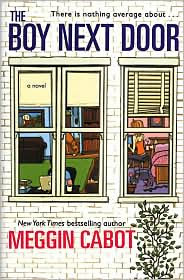 My Review: This was my first Meg Cabot book. I read it years ago. I still recommend it people all the time. I love the format of the book – all done in email format. We met the characters and the story develops through emails between characters. Don’t skip the To, From and Subject, otherwise you may be lost. Like all of Meg Cabot’s books, this is a very fast read and great for the summertime (or anytime). Other books that have the same format (email) and carry over some characters are: She Went all the Way, Boy Meets Girl, and Every Boy’s Got One.